Jürgen Klopp fully understands why supporters were excited by footage of Alex Oxlade-Chamberlain training earlier this week – but insists Liverpool will take ‘no risks’ as he continues to work his way back to full fitness. A video clip appeared on social media of the midfielder doing ball work during the Reds' four-day camp in Dubai. It sparked an overwhelming response from fans, who are eager to see Oxlade-Chamberlain back in action after his nine-month absence due to a long-term knee injury. Such sentiments are shared by Klopp, who admits he - quite simply - ‘can’t wait’ to have the 25-year-old available. However, he is keen to stress the importance of ensuring the England international only returns when he is fully ready to do so. Speaking about the footage, the manager told Liverpoolfc.com at Melwood: “I loved it like the fans loved it, if they loved it! It is just brilliant! Klopp continued: “I don’t think we talk about patience so much now, he needs fitness. He is not injured anymore, that’s what I would say, but he is not match-fit and that’s a massive difference. 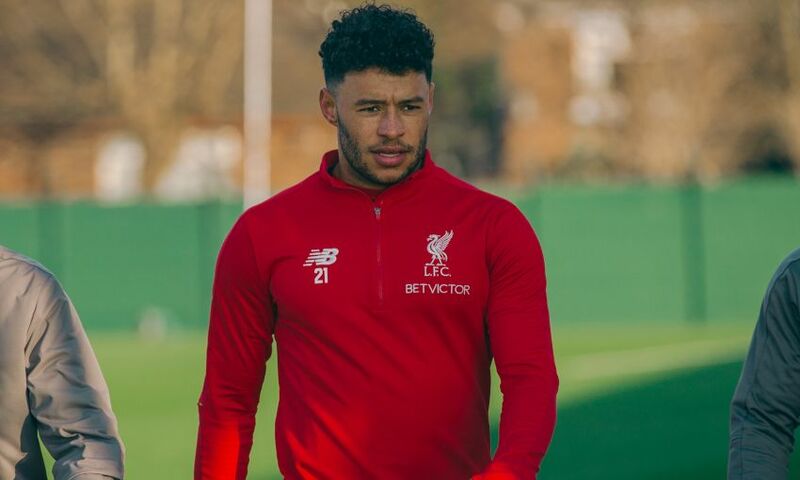 “We cannot, and will not, use Ox before he is 100 per cent in all parts of the game, because anything else after not playing for a year pretty much, the risk would be higher.